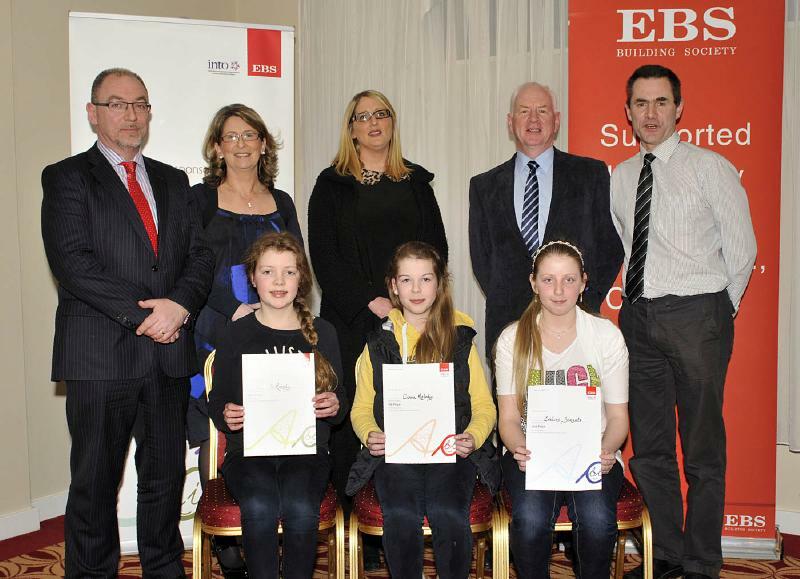 INTO / EBS handwriting competition winners pictured in the Harlequin Hotel Castlebar, category A front l-r; Aoibheann O’Rourke 3rd, Meelick NS and Clodagh Mellett 1st, Balla NS. Back l-r; Barney Kiernan EBS Castlebar, Pat Stenton, INTO, Sally Lavin, teacher, Eiméar Nestor, teacher and Maura English, INTO Missing from photo Cian Mangan 2nd Cloghans Hill NS Photo © Ken Wright Photography 2013. 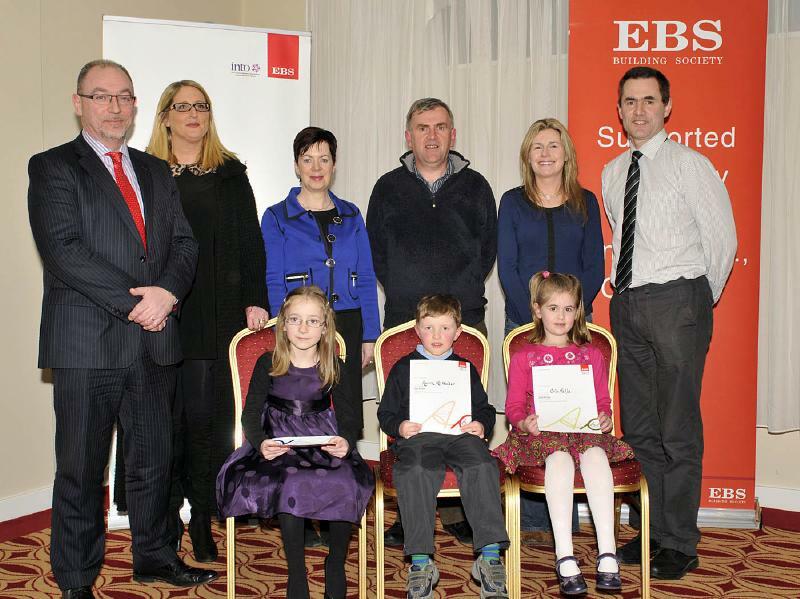 INTO / EBS handwriting competition winners pictured in the Harlequin Hotel Castlebar, category B front l-r; Olivia Kearns3rd, Richmond NS, Aaron McWalter 1st, St. Johns NS and Orla Kelly 2nd, Roundfort NS. Back l-r; Barney Kiernan EBS Castlebar, Maura English, INTO Cora Farrell, teacher, Eamonn, teacher, Suzanne McDonald and Pat Stenton, INTO. Photo © Ken Wright Photography 2013. 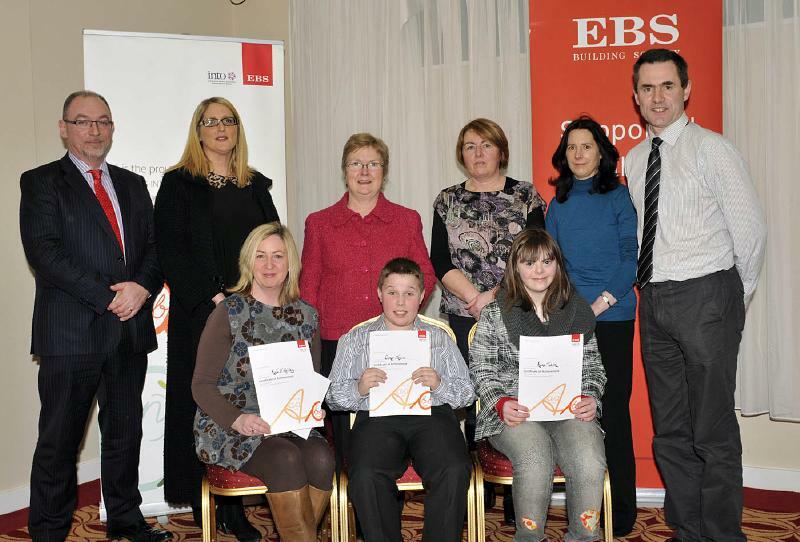 INTO / EBS handwriting competition winners pictured in the Harlequin Hotel Castlebar, category G front l-r; Anne Marie Campion, SNA representing Kyle O’Malley The Quay NS, Conor Joyce, Holy family NS and Anna Tobin, Manulla NS. Back l-r; Barney Kiernan EBS Castlebar, Maura English, INTO, Breda McCauley, teacher, Mary Brennan, SNA, Noelene Gibbons, teacher and Pat Stenton, INTO. Photo © Ken Wright Photography 2013. 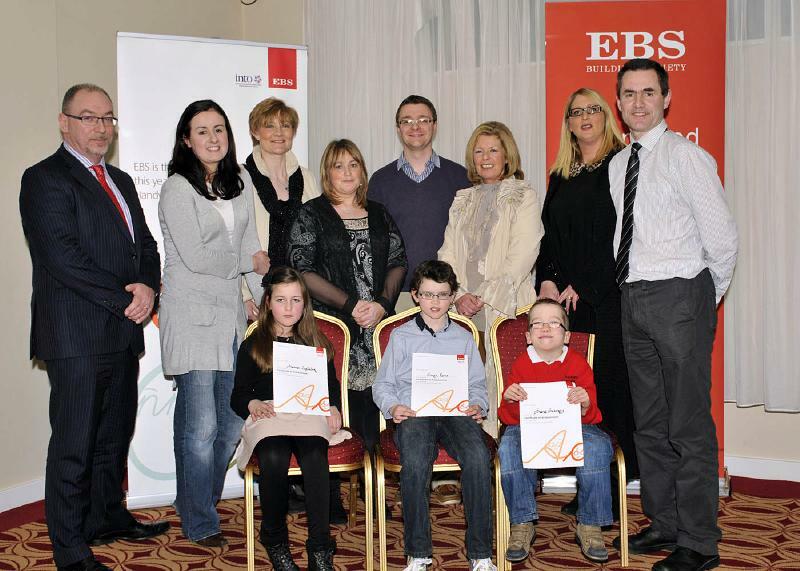 INTO / EBS handwriting competition winners pictured in the Harlequin Hotel Castlebar, category D front l-r; Mark Hastings 2nd , St. Brendans NS, Caoilinn Gaughan 3rd , St. Angela’s NS and Séan Burke 1st , The Neale NS. Back l-r; Barney Kiernan EBS Castlebar, Grainne Berry, teacher, Audrey Ni Fhearghail, teacher, Sean Maher, teacher, Maura English, INTO and Pat Stenton, INTO. Photo © Ken Wright Photography 2013. 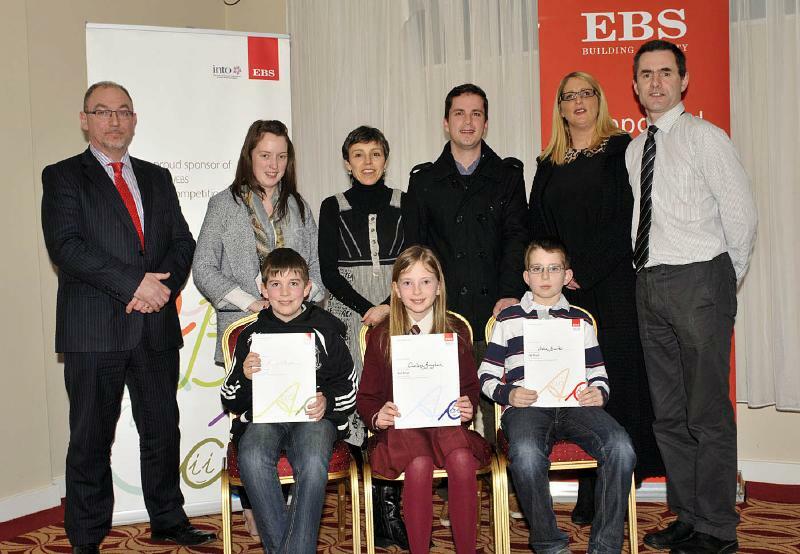 INTO / EBS handwriting competition winners pictured in the Harlequin Hotel Castlebar, category F front l-r; Shauna Eagleton, Balla NS, Fionán Ruane St. Colmcills NS and Shane Sweeney, Shraigh NS. Back l-r; Barney Kiernan EBS Castlebar, Sarah O’Mara, teacher, Margaret Conroy, teacher, Patricia Conway, SNA, Colm Syron teacher, Maureen Melvin, SNA, Maura English, INTO and Pat Stenton, INTO. Photo © Ken Wright Photography 2013. 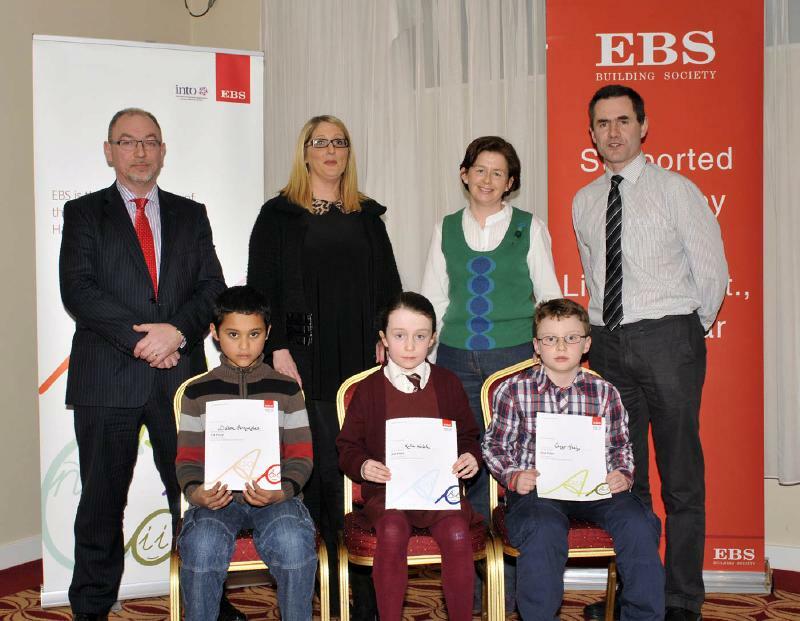 INTO / EBS handwriting competition winners pictured in the Harlequin Hotel Castlebar, category C front l-r; Dillon Fernandes 1st, Belcarra NS, Katie walsh3rd, St. Angela’s NS and Connor Healy 2nd, Scoil Chomáin Naofa, Roundfort NS. Back l-r; Barney Kiernan EBS Castlebar, Maura English, INTO, Marianne Forde, teacher and Pat Stenton, INTO. Photo © Ken Wright Photography 2013. 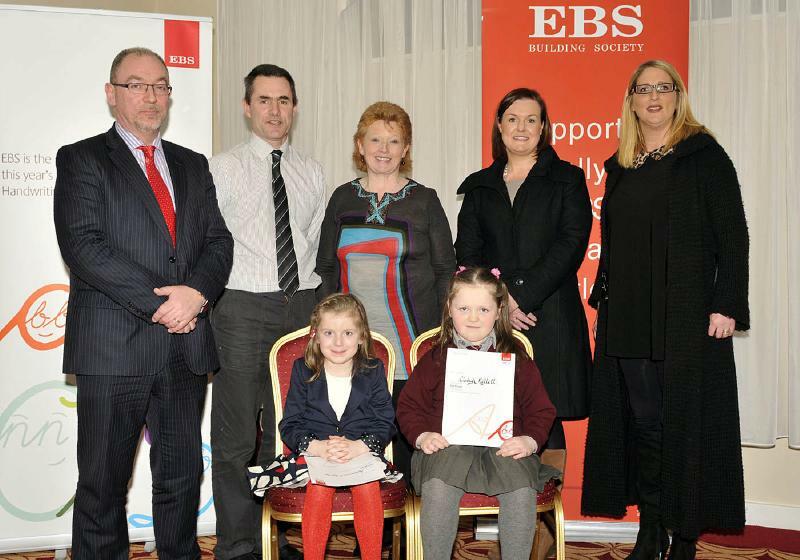 INTO / EBS handwriting competition winners pictured in the Harlequin Hotel Castlebar, category E front l-r; Kelli Murphy 2nd , The Neale NS, Ciara Melody 1st , Quay NS and Evelina Zimnate 3rd , Bekan NS. Back l-r; Barney Kiernan EBS Castlebar, Patricia Burke, teacher, Maura English, INTO, Vincent Kelly, teacher, Pat Stenton, INTO. Photo © Ken Wright Photography 2013.